In a downtown neighborhood with sparse green space, residents are fighting to save a cherished garden on city-owned land from development. 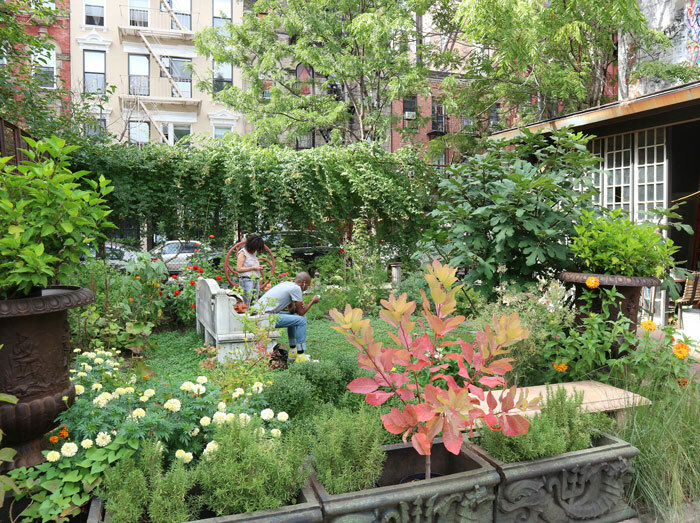 Elizabeth Street Garden, a green pocket between Elizabeth and Mott Streets in Little Italy, is a block-through plot that residents have developed into a tranquil space for relaxation and community programming. The garden was started in 1991 by real estate developer and resident Allan Reiver, who leased the debris-strewn lot from the city to plant flowers and install the first of many sculptures that populate the garden’s lawns (Reiver now owns the Elizabeth Street Gallery next door to the garden.) Three years ago, nonprofit group Friends of Elizabeth Street Garden worked with Reiver to open the garden to the public year-round. 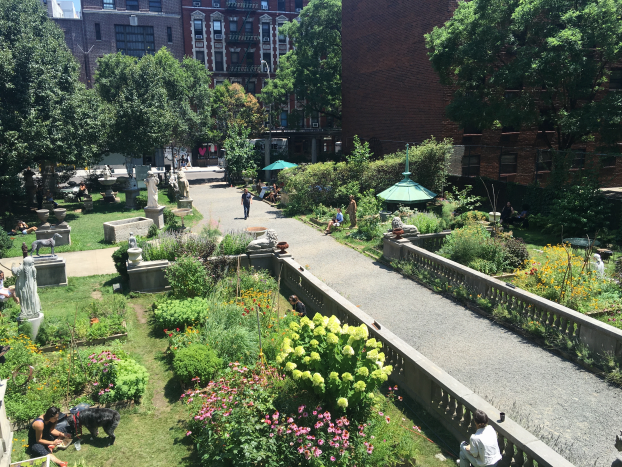 Now, the city is calling for a total overhaul of the space: This month, the New York City Department of Housing Preservation & Development (HPD) issued a Request for Proposals to develop the garden into affordable senior housing. Although the RFP contains a provision for a 5,000-square-foot garden that would emulate the design of the original, neighbors are not happy about the possibility of a scaled-down space. 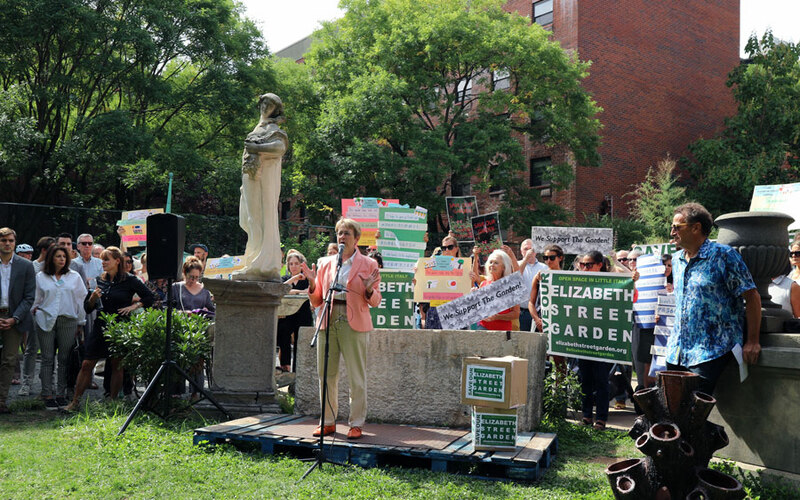 Friends of Elizabeth Street Garden has enlisted the support of the local community board, Manhattan CB2, and a host of advocacy groups and state representatives. At a midday rally and press conference today, supporters gathered in the garden to address the development threat. Noticeably absent was council member Margaret Chin, a supporter of the garden’s redevelopment. The area has lost nine community gardens in the last year, and has some of the least green space per capita in all of New York. 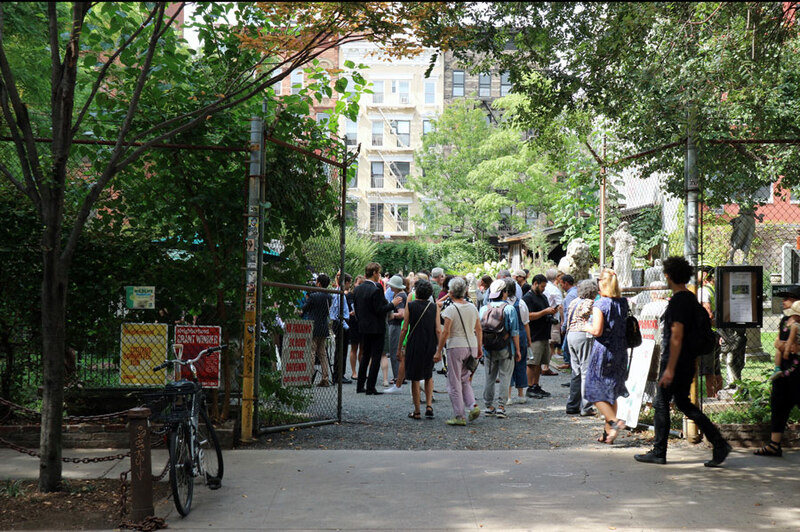 “We want a livable city, and a livable city needs opens space,” said Deborah Glick, the New York State Assembly member whose district includes the garden. So far, residents have submitted around 4,500 letters of support to keep the garden from being developed. CB2 has identified a city-owned site at Hudson and Clarkson Streets in the West Village that it claims could provide five times more housing—350 units—than the Elizabeth Street Garden site. This site is, however, out of Chin’s City Council district and is not being considered for housing development by the city at this time. At press time, HPD could not be reached for comment on the alternative site. Chin’s office says that there “are many seniors in the district in deep need of safe, appropriate, affordable housing,” adding that the area has some of the nation’s oldest housing stock, including many walk-ups that are hard for seniors to navigate. At the event, Allan Reiver himself brought archival photographs from 1991 that depict the space, which he calls a garden, just after completion. 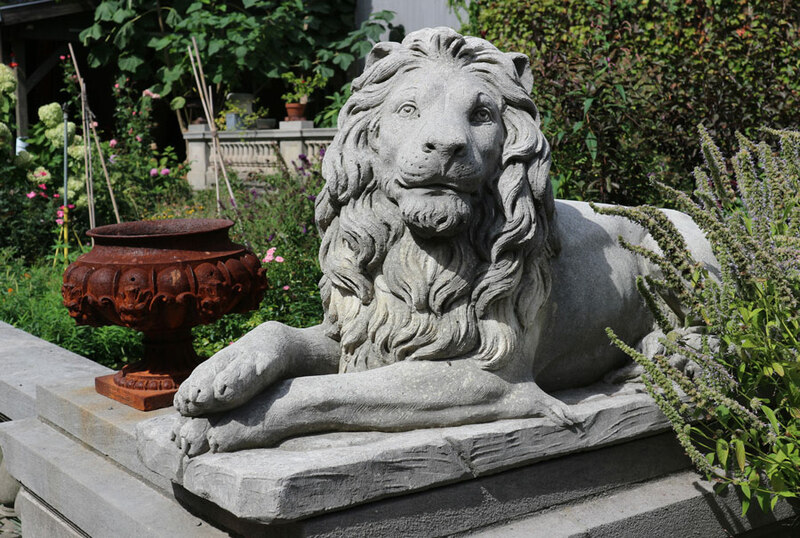 Though for many years primarily accessible from his private property next door, the garden’s strong axia that connect Mott and Elizabeth Streets invite passerbys when the gates are open. 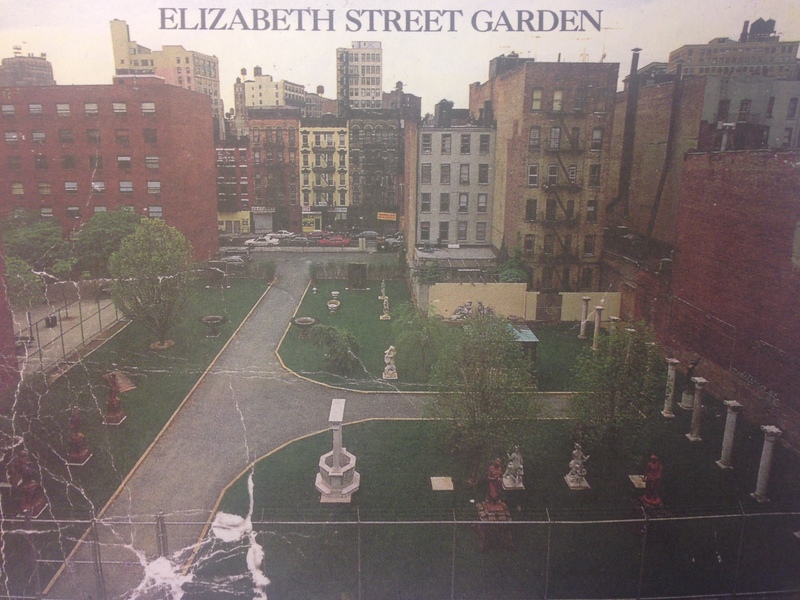 The controversy over the Elizabeth Street Garden comes at the same time the City Council is holding hearings on The Housing Not Warehousing Act, a set of bills that would require, among other provisions, a more comprehensive index of vacant, government-controlled property suitable for affordable housing development.